It’s been 10 years since the disappearance of Alison DiLaurentis from Rosewood, Pennsylvania. We’re nostalgic and thinking of the best Pretty Little Liars episodes — those incredible PLL moments that totally enthralled us with the delicious mysteries. 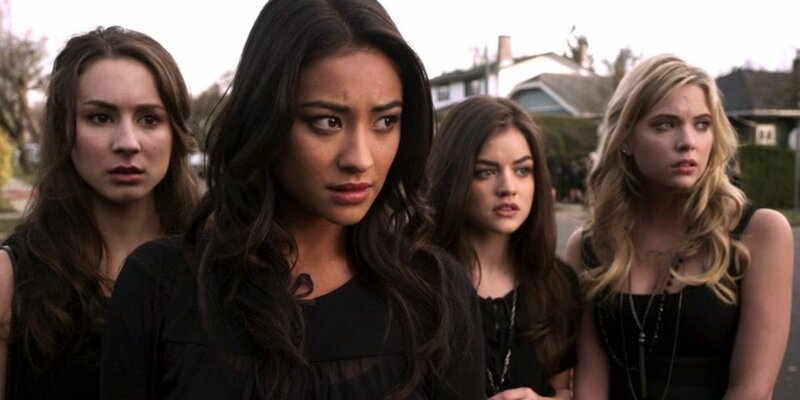 Alison’s disappearance may have started Pretty Little Liars and was the focal point of the show’s mystery, but it quickly became much more about Spencer, Hanna, Aria, and Emily’s secretive, albeit ridiculous at times, behavior and the lengths they were willing to go to in order to find out what happened to their best friend. Below, we’ve compiled a list of the best PLL episodes and we’re looking forward to the future with the arrival of Pretty Little Liars: The Perfectionists. The first Pretty Little Liars episode ever had some mistakes and changes, as all pilots do, including a few casting changes later in the series (looking at you, Jessica DiLaurentis). However, this show would not have been successful if the episode wasn’t captivating, charming, and intriguing, and the mystery of Alison’s disappearance and ‘A’ created such a hook that is unmatched by any other television show of our time. Thankfully, the series deviated from the books and went on to create a lasting, beautiful friendship between the four girls because, if we had to see them act so tense and see a friendship “close but not close anymore,” this show would have failed. The pilot sent the Liars on a path that spanned a fantastic seven year run. Even though this wasn’t a killer episode for the mystery, it managed to create a tragic, yet beautiful coming out story for Emily to reveal herself to her friends, while keeping the intensity of the mystery by having many of the girls’ moments intertwined with Detective Wilden. 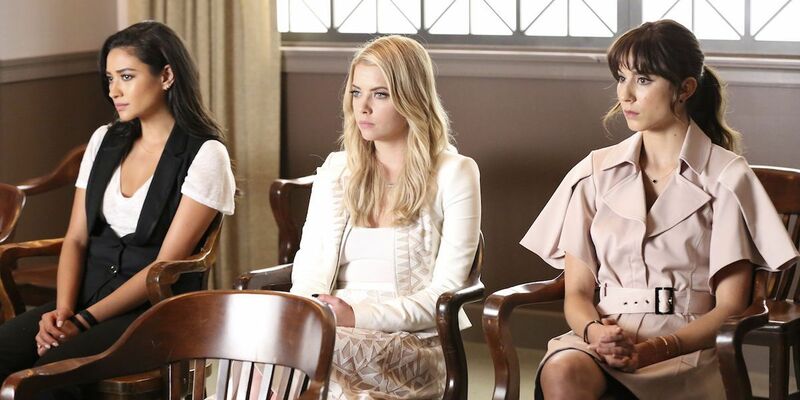 Though they were just preparing to take the SAT when a storm hit Rosewood, it created the perfect ambiance for the episode’s plot, which was the storm of Rosewood’s secrets catching up to them. Spencer’s first (and best) boyfriend, Alex, kept a secret for Veronica Hastings, Emily remembered sour and sweet times as she recalled the first girl she ever loved as more than a friend, while Aria had her love triangle between Noel (before he was turned into a crazy freak) and Ezra. It was a simpler time, which wasn’t necessarily bad for the series. 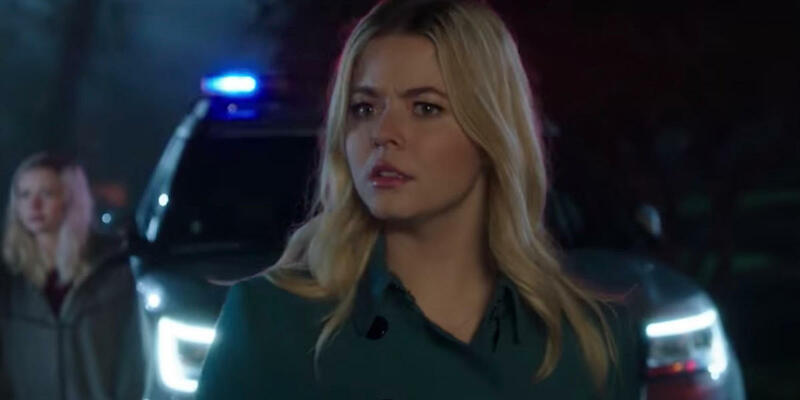 The mystery surrounding Alison DiLaurentis took center stage as we finally received some real, truthful answers about what happened on during that Labor Day weekend in the season 4 finale. As the title implies, A(lison) is for answers and she delivered some jaw-dropping truths that launched the series into the next three seasons. Not only did it create a new murder for the girls to solve, but it twisted the mystery that the writers had been unfolding into something (almost) completely new, which, love it or hate it, was a creative twist on the writers’ part. The introduction of the dollhouse took Pretty Little Liars down a much darker road for the following episodes, which was necessary to continue the story of “Big A” and put off another reveal just a bit longer. The dollhouse also introduced the Charles DiLaurentis of it all, the next mystery as the girls tried to put an end to the terrible torment they’d been put through in high school. What was abnormally amazing about this episode were the interactions between the girls and Mona, especially Spencer and Mona, once they arrived and began to figure out the situation that Mona had been in for at least six months. The first Halloween episode, a flashback episode about the Halloween before Alison went missing, didn’t quite hit as hard as the first present day Halloween train ride that nearly ended in death for one of the Liars. This was the first glimpse at how dark Pretty Little Liars was about to get without going overboard and feeling entirely unrealistic. This was also the first episode after the Toby is A reveal and the episode didn’t have the opportunity to ruin the reveal and create various plot holes around Toby’s involvement with Mona. One of my favorite scenes also takes place in this episode; when Wilden (well, the Queen of Hearts) tried to kill Spencer in one of the carts, Paige ran in to save her, nearly getting herself killed as well. After, Spencer thanks Paige and you can see the guilt and subsequent forgiveness in this single exchange over Spencer assuming Paige was A and trying to hurt Emily. The race for answers heated up as the girls, fearful for Dr. Sullivan’s life, gave in to A’s demands to save a life, which was still something drastic and terrible in their lives at this point. The uniqueness of the episode, the shots of the girls in the police station varied with moments from the previous day (and the question of Emily’s life due to her absence in the former shots), created one of the most interesting and intricate episodes of the series. Each moment upped the stakes as viewers scrambled to figure out what landed the girls in the police station; it was a wonderfully put together hour of television. Going into the season 3 premiere, there was an obscene amount of pressure on the writers and the show to keep the show interesting and keep people intrigued after the Mona reveal. Thankfully, another thrilling mystery was introduced and the show continued to be the amazing, untouchable series. With the missing body and the death of Maya hanging over Rosewood and the girls, their future seemed bleak and showed that these girls are in much deeper trouble than just having a tormenter. The season 1 finale brought a semi-conclusion to the story of Ian and his involvement with Alison’s disappearance. The final moments are probably what truly launched Pretty Little Liars into the future because this was one of the most interesting and well executed finales, and loads of new fans caught onto the hit that this series was. Also, Troian Bellisario’s acting as Ian attempted to kill Spencer in the church was incredible. The flash forward of five years into the future definitely had some risk to it, as the season 3 finale did, but this succeeded far more than the other episode. The flash forward was desperately needed to bring the show back down to reality as season 5 sort of went off the rails to keep up with the stakes and outdo themselves with every passing episode and new turn in the mystery. Also, each of the actors seemed much more interested in playing their roles again once their characters were no longer in high school, helping the time jump succeed because the actors finally loved what they were doing again after years of clear distaste for where the story was headed. The unmasking of the original ‘A’ was unexpected, but needed. It came as a bit of a shock to see Mona wearing the infamous black hoodie, especially as the writers said they were taking a different route from the books (which, they did, but I think most fans kind of took this as ‘A’ would be totally different). Alison’s scenes in this episode were incredibly interesting as this Brookhaven and Lost Woods arc was the best in the many arcs we saw of her life before her disappearance. Additionally, Janel Parrish slayed as evil Mona and she pulled off being the sociopathic stalker better than anyone else on the show did. As we head into the future to Mona and Alison’s new adventures on Pretty Little Liars: The Perfectionists, I’m excited to see the new mysteries. Alison and Mona are the perfect characters to lead this new series because there’s still so much to be done with them in the future. Both were criminally underdeveloped on the original series and it’s their turn to stand in the spotlight. Ideally, the first season of The Perfectionists will have a heightened focus on Alison and Mona and gradually begin to really dig into the new characters, especially since they’re keeping the original’s title for this spin-off. That said, the new characters deserve a chance, too, and I’ve accepted that it’s probably going to take at least a season, if not more, to really warm up to them and embrace them as the future of the Pretty Little Liars legacy. With Marlene King in charge, we can expect another twisty, tasty mystery, even if her choices sometimes make us question what she’s up to. Pretty Little Liars: The Perfectionists airs in 2019 on Freeform! 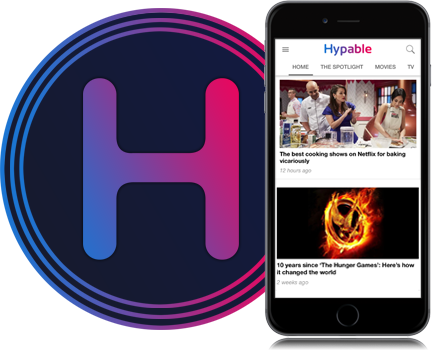 Stay tuned to Hypable for future coverage of the series!